Straight from Limassol, the melodic thrash/death metal band TORMENT are going to play on Power of the Night XI festival. A month before the festival on June 24, TORMENT will be a support band for the Rotting Christ's live show in Nicosia. Though they played previously for fun, the band was formed in 2007 by Neophytos Agrotis (guitars), Christos Kassapis (guitars) and Ricardo Constantinou (drums), initially as a cover band. They used to cover thrash and death metal bands like sepultura, lamb of good, kataklysm, carcass and rotting Christ. From this time until 2010 they played at various small bars and events, like (ex) Rolling Stones bar. The bassist to this day is the band memeber’s friend Christos loizides, who had joined the band from that period. From 2010 to June 2012 the band was inactive due to military services. 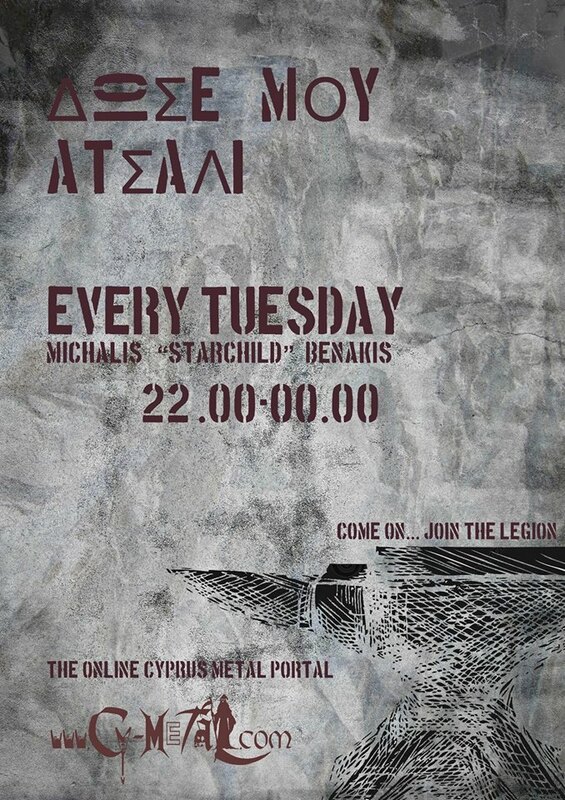 Upon completion of the military, the band emerged with thirst, vision and a new vocalist, Stelios ioakim. At this stage they started writing their own material and though this is a slow process taken on by just a few of the members, they still do and will continue to. Even though they have consistently been separated as a band (different countries, university, work etc) , they have managed since 2012 to play a couple of times per year, usually during holidays. They were always honored to do this as they were asked to play with many respected local bands ( mortem atra, stormcast, vomitile, frozen winds, project oblivion, toxic junkie dolls and more) and also bands from out of Cyprus ( W.E.B and soon Rotting Christ). Torment play a mixture of melodic death/thrash metal but there are also hints of progressiveness and groove in their sound. For the past couple of years Torment have only been playing their material live, without any covers. At the moment they have only 2 recorded/published songs, as that is what they had the time and money for at the time. Since then the band spent any time it had together practicing for particular concerts, but there are of course future plans. Those songs can be found on their Facebook page or on YouTube under TørmenT Cyprus. Torment love heavy metal and they love what they do with a passion. Generally they are silent and mind their own business, apart from when they’re on stage. They take any opportunity with enthusiasm and seriousness. Torment promise to get people moving and deliver a great concert.